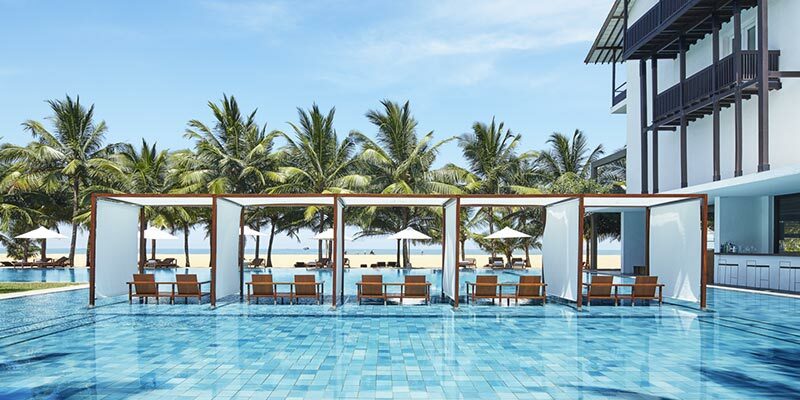 A favourite Negombo hotel, Jetwing Blue is one of the finest Sri Lanka beach hotels. 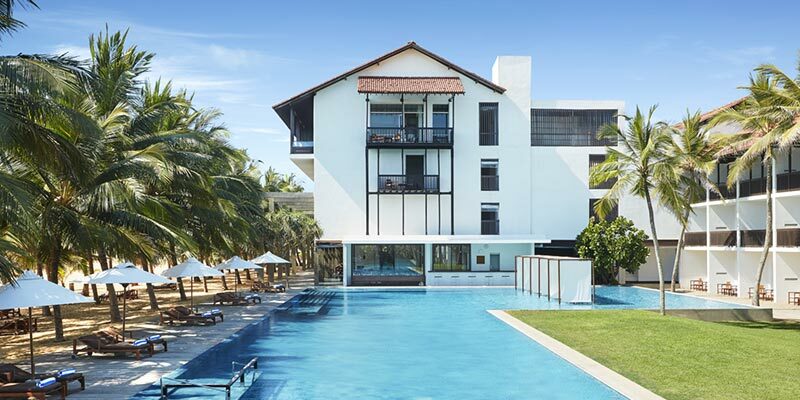 A popular airport city hotel, Jetwing Blue is positioned within 30 minutes from the Bandaranaike International Airport. 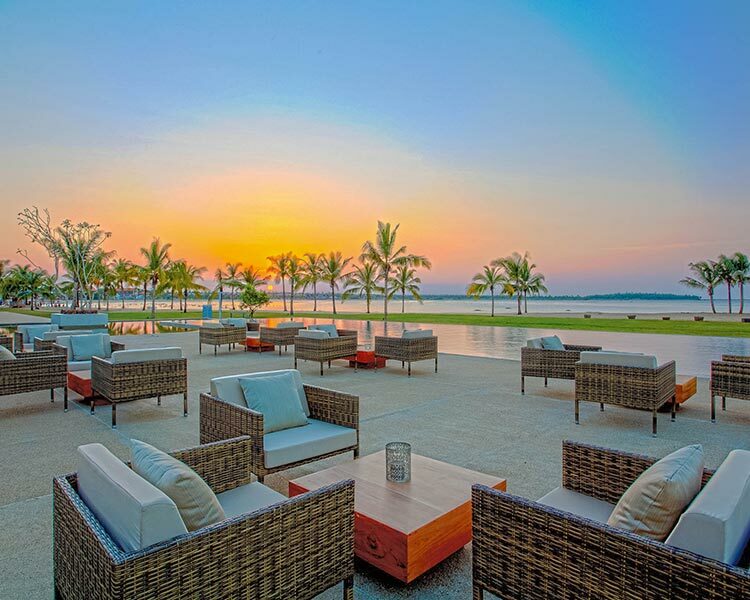 Indulging the international traveller, the hotel is a swanky resort situated nestled amidst a colonial atmosphere. Jetwing Blue maintains 80 Deluxe Rooms, 21 Super Deluxe Rooms, 3 Family Rooms, 8 Annex Rooms, and 6 plush Suites. A significant feature at the hotel is that they also preserve two rooms for guests who have special needs and are differently abled. A preferred choice of the business traveller, the Deluxe Room conserves a cosy atmosphere. The Super Deluxe room is vast and aptly furnished for two lodgers. An excellent choice for the travelling family, the Family Room at Jetwing Blue is a spacious enough to accommodate an extra bed. 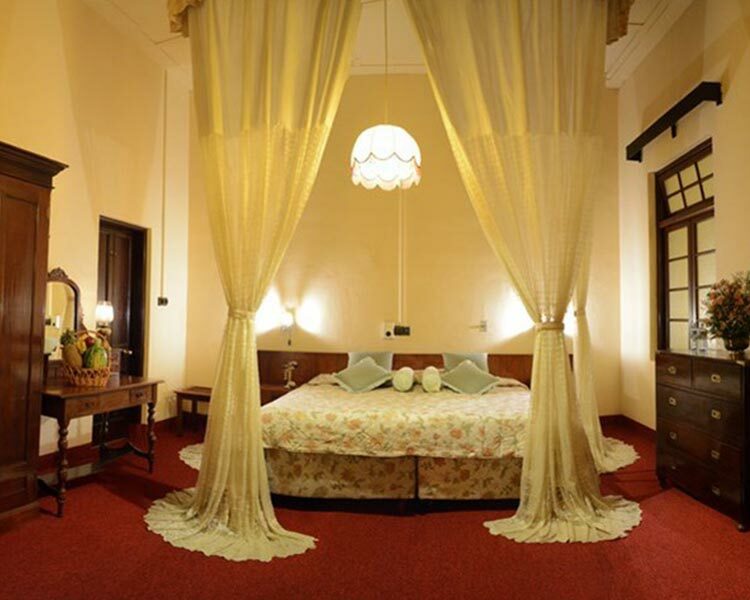 Visitors seeking for a luxurious stay, should look no further than the Suites at the hotel. 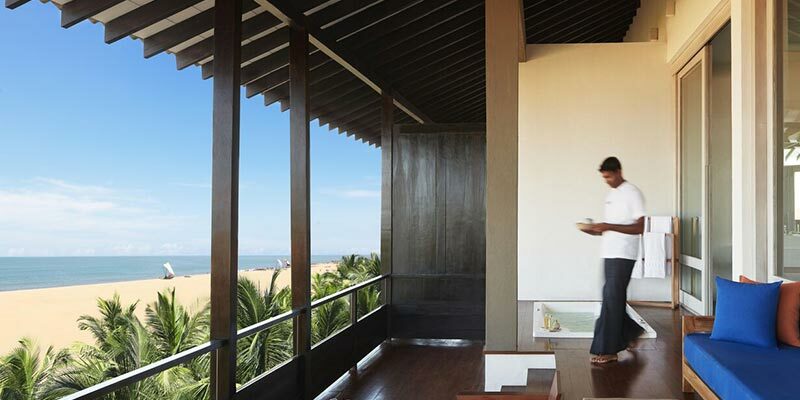 Exquisite in design, the suite is equipped with sitting area, an outdoor lounge with jacuzzi and more opulent fittings. 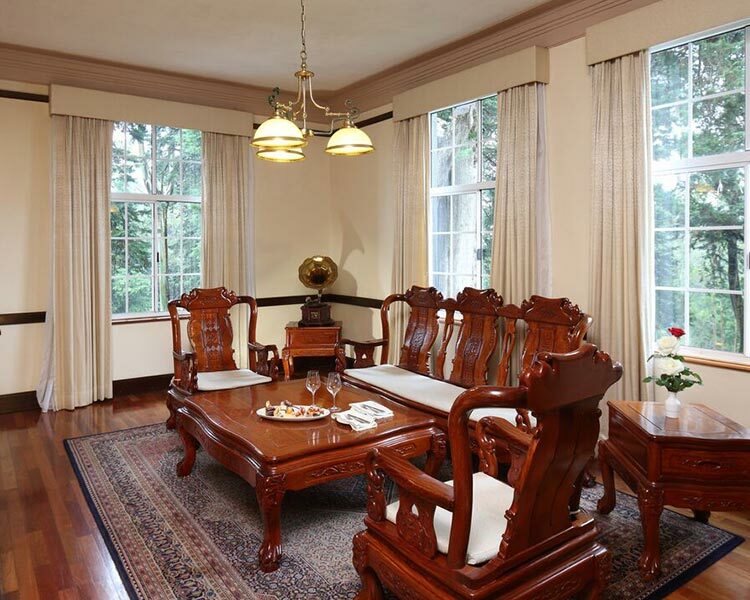 A lavish home away from your home, the annex at the hotel is ideal for the long-term guest. Eating is a delight at the Jetwing Blue. 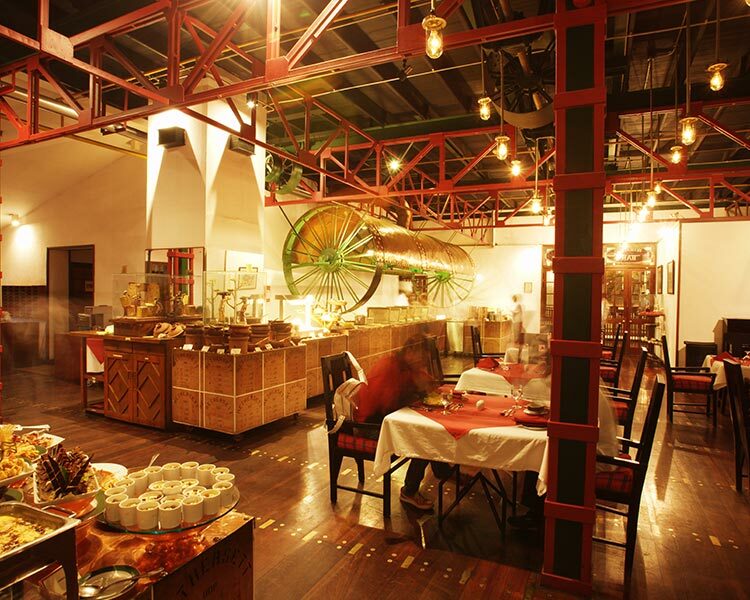 Signature dishes at The Kitchen is a common sight amidst its regular buffet spread. 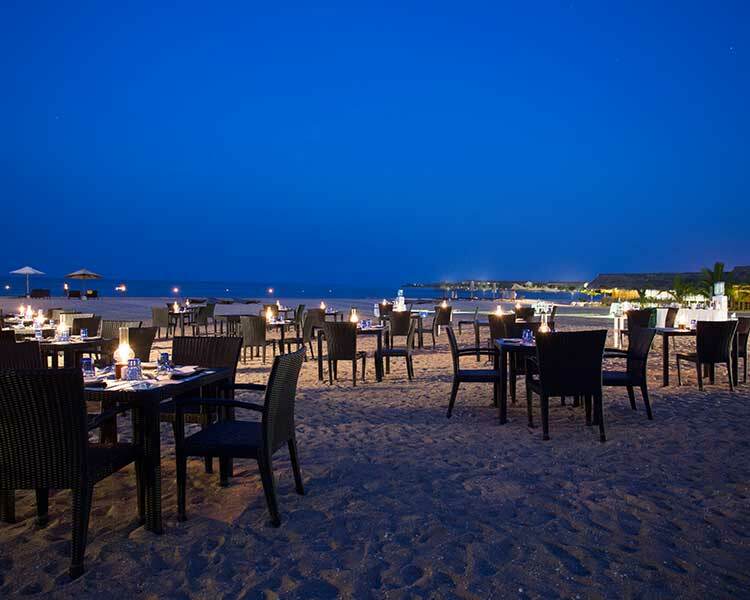 The Center Point Bar and Grill along with their Signature cocktails such as ‘Camilia Lovers’ serves scrumptious appetizers. A thirst quencher for the sophisticated palette is available at The Float. Here guests can sip on a sparkling glass of chardonnay or uncommon liqueur. 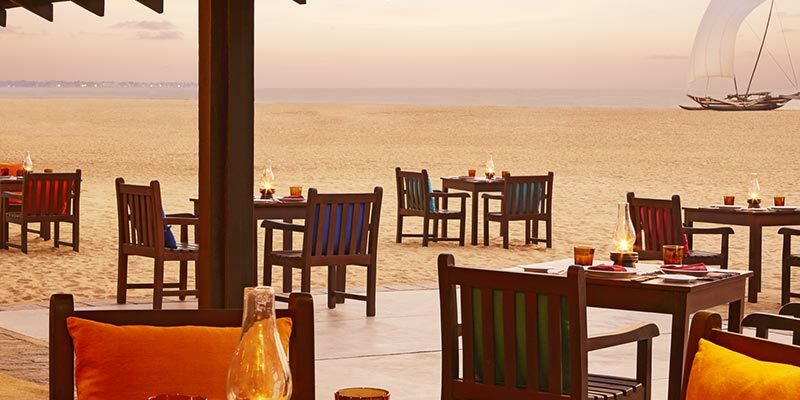 Newlyweds seeking to merge romance in their dining, can take their meals on the beach. 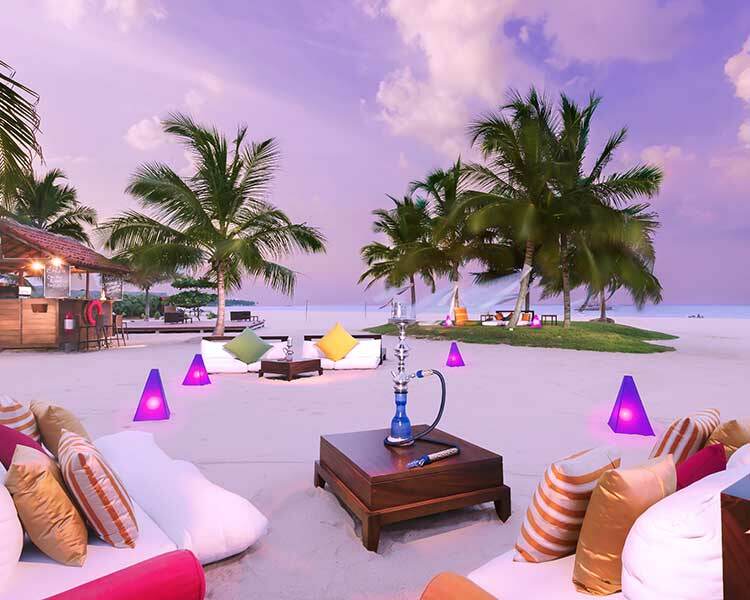 The cool breeze and the rhythmic sounds of the waves coming to shore provides the ideal setting. 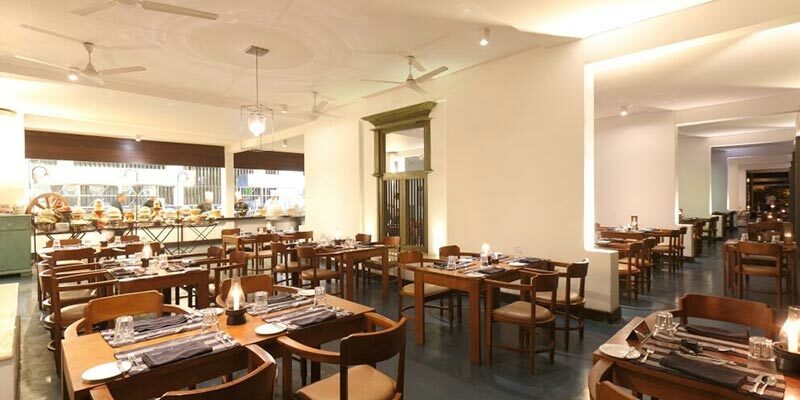 Boasting a sizeable Banquet Hall, Jetwing Blue is one of the foremost wedding venues in Colombo. It holds an impressive seating capacity of 400 to 500 guests. A flexible space, large conferences can also be accommodated here. 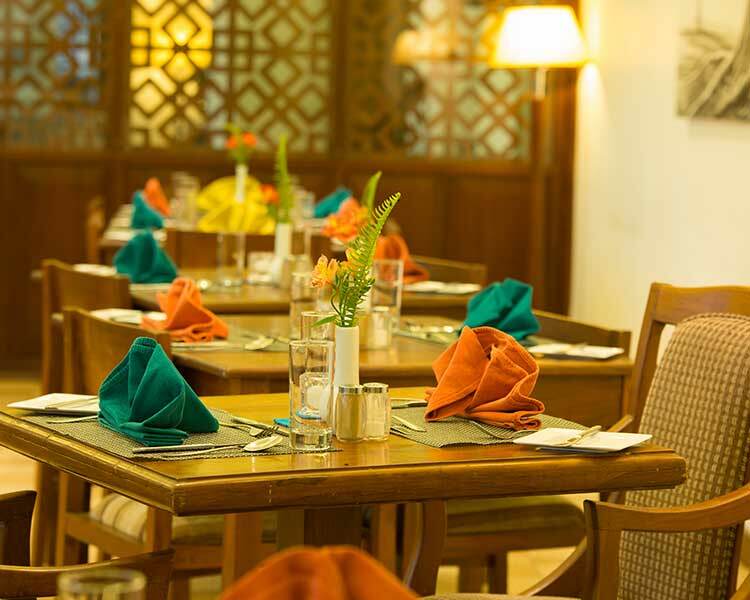 Preserving two primary meeting rooms and modern business facilities, conferences held here are a seamless task. 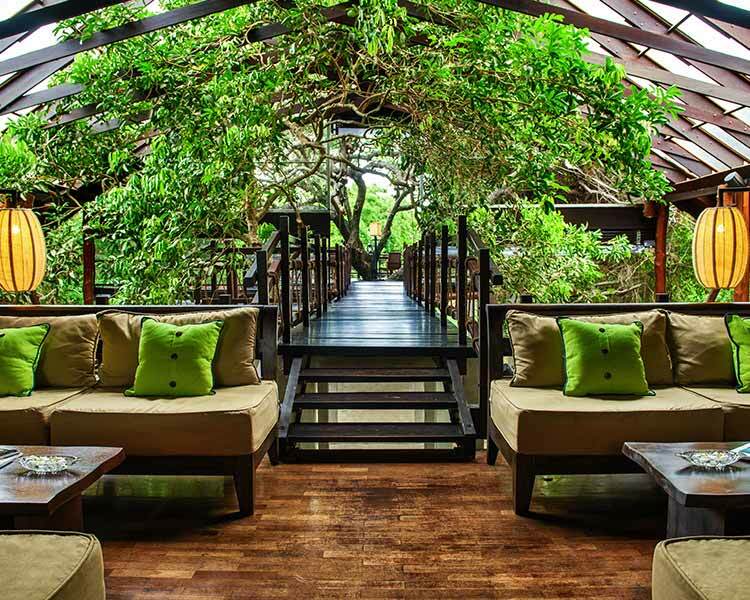 Armed with an experienced events team, lunches, cocktails and presentations are a certified success. Recharge and refresh yourself at the Spa. Specialising in various therapies, the spa is well known for Swedish therapies and aromatherapy massages. Revitalise your entire being with a reflexology session. Personalised treatments and couple treatments are available here at the hotel. 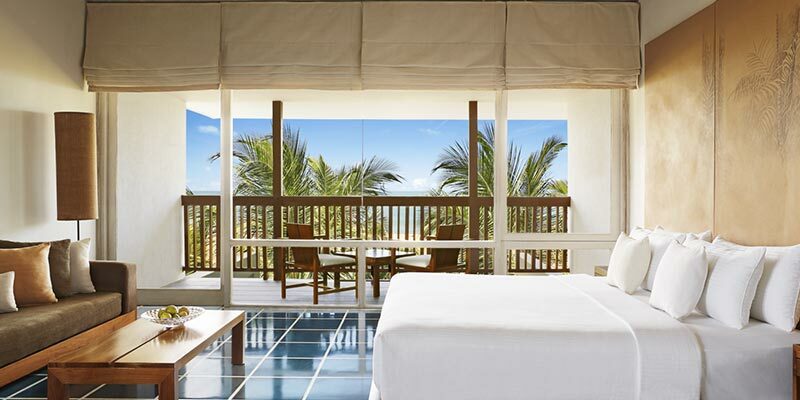 A relaxing vacation for the entire family, Jetwing Blue provides for an unforgettable stay.